The Walking Dead gives us an exciting mid-season finale in “Start to Finish.” As the walkers invade Alexandria, everyone panics and hides. As well as dealing with the incursion of walkers, internal conflicts begin to flare up, putting everyone at greater risk. In “Start to Finish” we lose Deanna, and who knows how many nameless Alexandrians? One Alexandrian that we do care about is Denise. Poor Denise is just trying to do her job and was being very brave. She helps the Wolf and he turns on her. Admittedly, he was very clear with anyone who would listen that he always intended to kill everyone. In a surprising turn of events, he doesn’t kill anyone, but we’re guessing it’s only because he’d have to shoot so many people the noise would be bound to attract walkers. Or he figures they’re all going to be killed by the walker invasion anyway, just as Denise said. The story of Morgan and Carol was both riveting and annoying. They’re both so committed to their individual philosophies that it gets in the way of dealing with the immediate problem of the invading walkers. Morgan’s belief that all life is precious is what keeps him sane. A sane Morgan can be a good person to have around. A Morgan who falls off the edge and goes back to clearing is extremely dangerous to anyone in the vicinity. Carol is not so different. She might lose her mind, or her soul, if she didn’t feel justified in some of the terrible actions she has taken. Killing Lizzie may be the most extreme version of that, but it also includes doing things like telling Sam she will tie him to a tree and let the monsters get him. They each need their beliefs to survive. Sure, teenagers are annoying, but we’re glad the conflict between Ron and Carl finally came to a head. In such a violent world, it’s not totally surprising that impulsive teen Ron would consider shooting Carl. It just seems like he could have solved this whole thing earlier by letting Carl go search for Enid, because he probably wouldn’t have come back. But perhaps Ron just couldn’t bear the idea Carl might actually find her and be a hero. Who knows what these kids think. We do know that Carl is being a typical teen and keeping secrets from his dad about Ron being a murderous jerk. Though Carl did take care of things, sort of, when he took the gun. We loved that Carl confronted Ron with the truth about his dad. Chandler Riggs delivered the line really well, too. Sure the battle between these two may not be over, but at least Ron’s plan to shoot Carl has been foiled. For now. Speaking of angst-ridden teens, Enid’s resistance to Glenn makes a lot of sense to us. Why the heck should she go into Alexandria and risk her life for them? She’s no heroic figure like Glenn, she’s just a teenager. What’s interesting is that teens get no special protection in The Walking Dead. Glenn treats her just like he would an adult, except with a more lecturing. He expects her to go in and risk her life for others in her community. He’s just trying to teach her some proper values. We see a foster situation in their future. Young Sam gets a little more leeway because of his age, but not much. Jessie asking her son, who is too scared to even go downstairs, to put on a sheet full of walker guts and walk amongst the dead is a bit much. Sure, it’s life or death, but maybe pull him aside and have more of a talk with him than, “Just pretend to be brave.” What Sam needs is Carol. She can’t mess him up much more than she already has. Sam just has to come out the other side of Carol’s life lessons without killing Baby Judith and he’ll be ready for this world. We had a long goodbye for Deanna, which felt a lot like Bob’s and others that have come before. Unless you’re Maggie or Glenn, probably a quick exit is best. Let’s hope this means that there really is a future for Alexandria or all these conversations will be for naught. 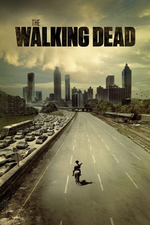 With “Start to Finish,” The Walking Dead leaves us wondering if Alexandria will survive. We hope it does.